Back and Spine Physiatrists Needed in New Orleans! Ochsner Health System is Louisiana’s largest non-profit healthcare system. Driven by a mission to Serve, Heal, Lead, Educate, and Innovate, coordinated clinical and hospital patient care is provided across the region by Ochsner's 30 owned, managed, and affiliated hospitals and more than 80 health centers and urgent care centers. Ochsner is the only Louisiana hospital recognized by U.S. News & World Report as a “Best Hospital” across four specialty categories caring for patients from all 50 states and more than 80 countries worldwide each year. Ochsner is a multi-disciplinary hospital system and transfer center with active Centers of Excellence in Transplant, Cardiovascular Services, Neurosciences, Pediatrics, Women’s Services, and Cancer . 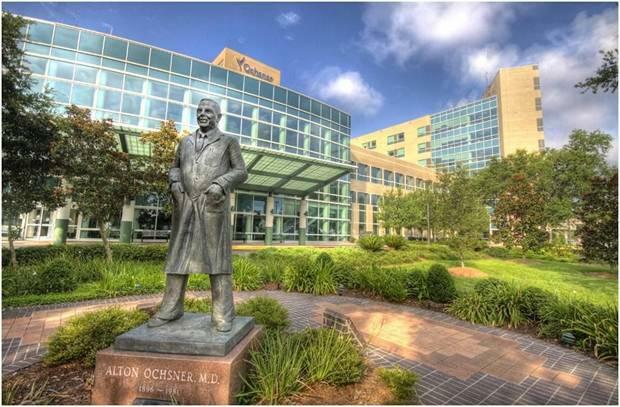 Ochsner has more than 18,000 employees and over 1,200 physicians in over 90 medical specialties and subspecialties, and conducts more than 600 clinical research studies. For more information, please visit ochsner.org.